An interesting article — written by Lauren Bradford recently came to our attention at Speakeasy Kava. Because we think that it’s a positive and helpful read for persons looking to learn more about the benefits of kratom, we’ve included the link to the article in this post. Click here to read the full article. 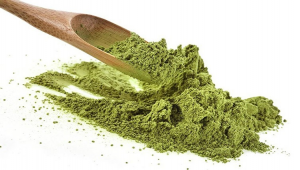 At Speakeasy Kava, we promote the use of kratom to assist persons with pain management, anxiety, PTSD and more. However, we recognize that we’re not medical doctors and believe its important that you always check with your licensed medical doctor before attempting to get off any medication or trying to mix them with kratom safely. Everyone’s body chemistry is different and because of this, we can not say with certainty that you will experience pain relief or relief from anxiety from consuming kratom. In many cases though, we’ve experienced it to be helpful and that’s what our customers say as well. Many of our customers have told us that they’ve used this tea leaf to help them with their opiate withdrawals when they were addicted to opiate painkillers. At Speakeasy Kava, we understand that regular consumers of kratom use it often, sometimes even daily to assist with their pain management. Because of this, it’s our goal to ensure its affordability to all of our customers. We host events throughout the week and include drink specials for our single or double kratom servings. In addition to this, our kratom drink pricing is competitive and worth it for the strength of tea you get. One of our most recent Google reviews mentioned that Speakeasy Kava has the best tasting kratom and kava in town! In addition to our regular powder brewed cold single and double servings, we also serve something that none of our local competitors do — hot loose leaf kratom tea. It’s a favorite amongst our regulars and at only $7 for a double serving, it’s an awesome deal! 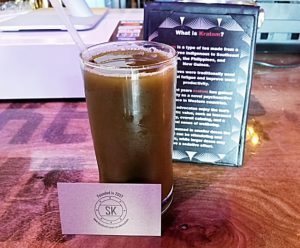 The amazing teatenders at Speakeasy Kava are always putting their creative hats on and have come up with a variety of delicious kratom drink shots as well that are flavorful and cost just a few bucks to boot. Previous StoryWelcome To Speakeasy Kava – Bula! Next StoryFor a Fun Alternative to Alcohol – Drink Kava!